Timeless and Modern: Experience a new level of excellence. Welcome to the new Gold Coast. Situated in Chicago’s historic Gold Coast neighborhood, 9 West Walton – known as Nº9 Walton – sets the bar for the new standard of city living. When you pull up in the old-world motor court, you see the building boast precast limestone and granite and glass exterior. Condominium homes range from two to five bedrooms including, Penthouse and Penthouse Triplex, dramatic 10-12 foot ceilings and custom tailored floor plans with wrap-around terraces, large balconies. Condos for sale in 9 West Walton feature large floorplans ranging in size from two to six bedrooms. The variety of units available in this prominent Chicago building are great for those who are simply in search of a well-equipped unit, or a sprawling floorplan for the more discerning buyer. Units come fitted with a number of exceptional finishes, inspired by historical elegance with an emphasis on stone and glass. The building is being developed by JDL Development and construction should be complete very soon. 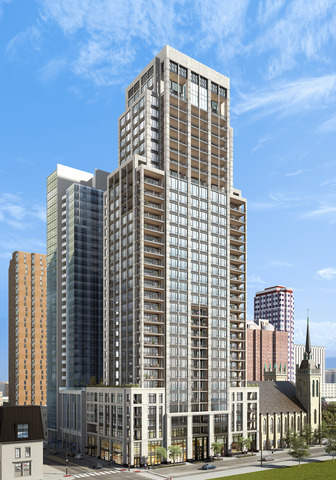 Most of the 66 units in this 36-story building have sold, but if you're interested in these units there are a few select residences still available, and resale units will become available over time. The architecture of this beautiful new addition to the Chicago skyline includes traditional blurring to modern design with large windows, bringing plenty of light into each unit. Nº9 Walton is one of Chicago's greatest modern masterpieces. Residents will appreciate the convenient access to Washington Square Park, Walgreens, and The Shops at North Bridge Mall, as well as the prominent boutiques along Rush St. such as Dior, Versace, and Lululemon. Enjoy a large family function, host your board meeting or entertain your charity members in the large, private dining room. Gold Coast is arguably one of the best neighborhoods in Chicago to live in. Find yourself next door to Oak Street high-end boutiques and hotels, walking distance to Michigan Avenue, and two blocks from posh Oak Street Beach.